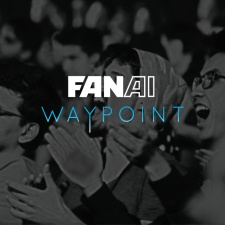 Audience analytics company FanAI has acquired Waypoint Media. Waypoint Media runs a number of tools and middleware that FanAI will now be able to integrate into its own fan data operations, including a Twitch middleware API, player tracking platform Raven and URL shortener. The esports tech startup was purchased for an undisclosed price and sees one of Waypoint’s three employees - chief product officer Kevin Hsu - move into FanAI’s fold as head of adtech. The move seems a natural fit for FanAI, which also deals in player data analysis to secure sponsors within the esports space. "Combining forces with FanAI is a perfect fit," said Hsu. "We work with the same client base and have complementary solutions to the same problem. “Traditionally, FanAI has focused on more static information including social and purchasing data, while Waypoint worked to gather digital movements of the audience. Combined, we can provide the best service by giving access to even more detailed and actionable data for clients." FanAI CEO and founder Johannes Waldstein added: "The way Waypoint are able to turn billions of data points into workable information is like nothing else available on the market. “We will be able to provide a deeper look at audiences with the new tools and having someone like Kevin join us will cement the FanAI services at the top of the industry."